CoolTherm is pleased to introduce ‘Circlemiser’ to its growing product portfolio. 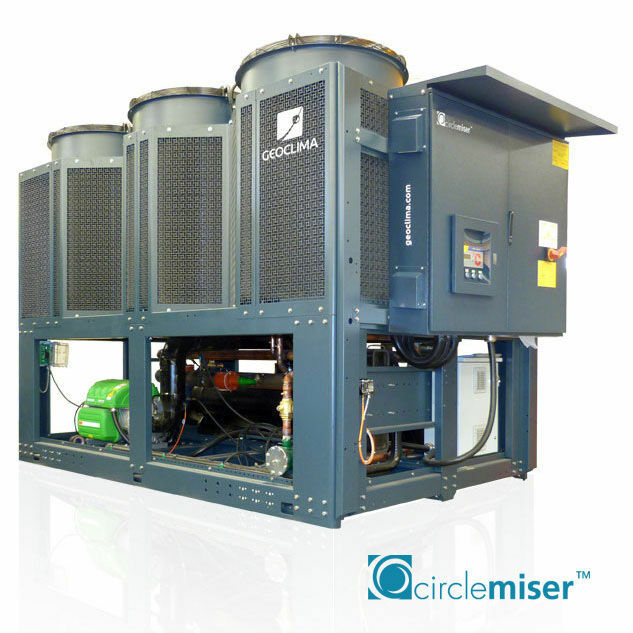 Geoclima’s new Circlemiser chiller is one of the most efficient and innovative chillers available today, offering outstanding efficiency levels, with an increase in EER of up to 15%. 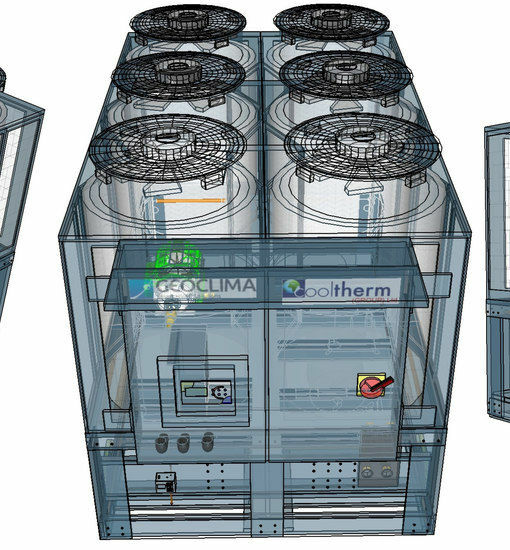 Geoclima’s unique design of Circlemiser makes it possible to increase the heat exchange capacity, reducing condensing temperature and means outstanding performance without altering the footprint of the chillers. Circlemiser chillers are equipped with cascade flooded evaporators, the cascade arrangement of the evaporators increases the evaporation temperature and, at the same time, reduces energy consumption. Using this type of evaporator means increased efficiencies across the range of the Turbomiser air cooled chillers. Comparing the Circlemiser with traditional air cooled Turbomiser chillers, at the same AHRI/EUROVENT conditions and size (with the same number of compressors, model of compressors and capacity), Circlemiser records an increase in EER up to +9.5% (with one compressor unit) and up to +15% (with multi-compressor units), with the highest achievable value of EER 4.35. 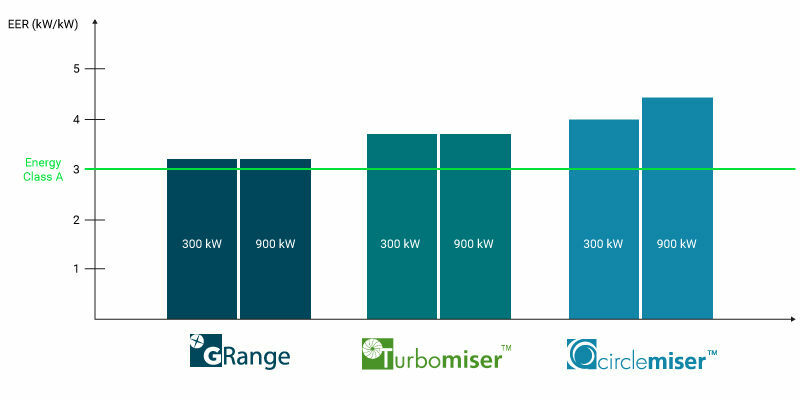 When comparing Circlemiser and Turbomiser to an Evaporative System with a relative humidity of 50%, the efficiency ensured by Circlemiser is equivalent to the efficiency achievable with using an Evaporative System. This is without the costs, installation and maintenance that is generated from the use of water for an evaporative system. Circlemiser represents an effective alternative to the adiabatic units in those cases in which adiabatic configuration is not applicable.